Please Click on the titles or the pictures to select a gallery category that is of interest to you. The Gallery is still a work in progress. The Gallery is currently not working as it should however we have made pages with the pictures attached without comments until we get the gallery working to its full potential. Please select from the below categories. 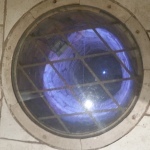 This category covers all types of well covers including metal well grills, metal grids, wrought iron well surrounds, glass well covers, concrete and iron caps. 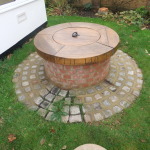 Plenty of different shapes and sizes to let you see what can be done and to give you idea’s for your own well top both for decoration and for safety. 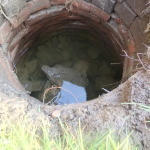 This Category will show you some of the things we have done to clean a well out. We would not suggest anyone attempt this unless they are trained and have the correct safety equipment. 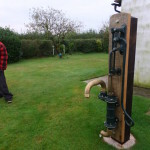 A gallery of both electric and hand pumps to show you some of our works and what we can do. 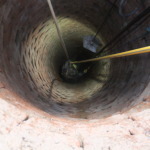 Well restoration is a category where we find a well filled in, clean it out, clean it down, install pumps and filtration and allow full use of the well water again just as it was dug for. This category showcases our light installations within wells.